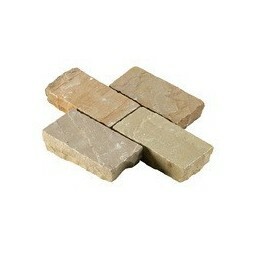 A full pack containing 6.1m2 of larger rectangular beige sandstone setts. 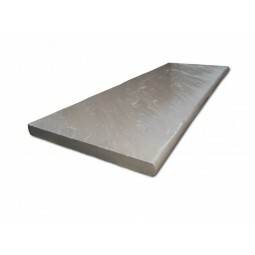 These products have been sized at 100x200mm and boast a random depth of 40-70mm. 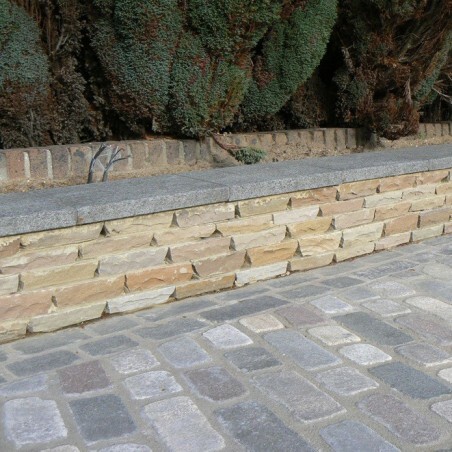 Because of its exceptional durability and versatility, sandstone is suitable for flooring indoors and outdoors, which means you can use these rectangular beige riven sandstone setts throughout your home for a warm, consistent look. 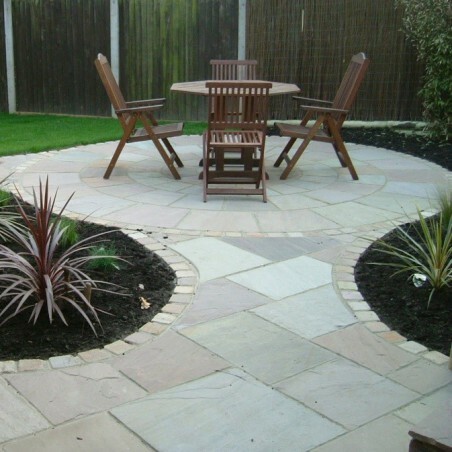 Combine these large beige sandstone setts with similar products from our paving and circles ranges to create stunning spaces in either a traditional or contemporary style, depending on your preferences. Each pack contains setts in dimensions of 305x100x200x40-70mm. Mixed size patio pack covering 21.06m2 at a calibrated depth of 22mm thick. Its calibrated depth makes laying the product easier compared to random depth paving products. 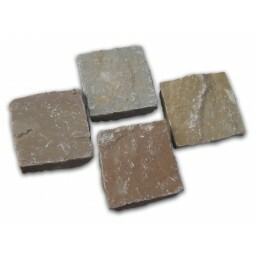 This full pack contains 6.1m2 of beige sandstone setts, each sized at 100x100mm at a random depth of 40-70mm. 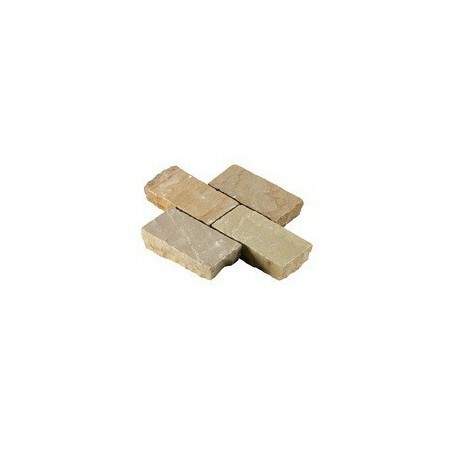 Buy great value beige riven sandstone steps from Milestone. 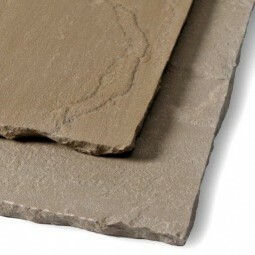 These Raj riven sandstone products are available in either 5, 10, 15 or 25 unit packs.